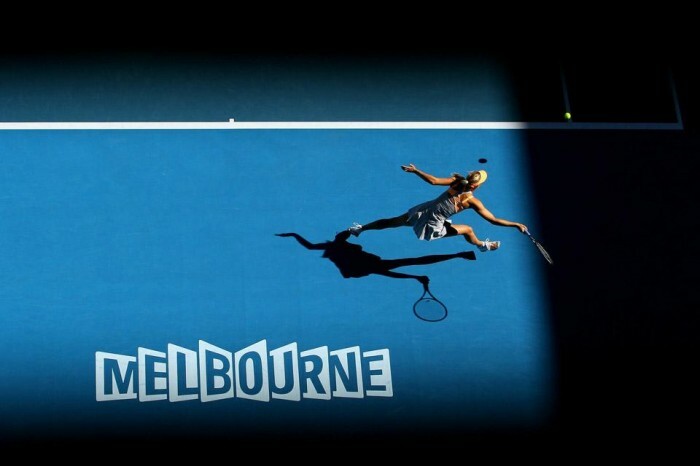 Tennis Blogger Melinda Samson joins us at theaussieword.com as our special guest contributor for our Aussie Summer of Tennis! It’s January and in Australia, that means it’s tennis time. For the year round Aussie tennis fans who are used to going without sleep to watch tennis being played in Europe and the USA, January means tennis tournaments in our time zone. Days and nights full of tennis galore. Here’s a review of the tournaments being held in Australia and New Zealand in the lead up to the Australian Open which runs from 14 to 27 January 2013. These lead up tournaments give players the opportunity to get warmed up for the Australian Open in Australian heat and court conditions. The Hopman Cup is unique in terms of tennis tournaments because it’s a mixed teams event. No ranking points are at stake, instead the teams play for their country, as well as $1 million dollars in prize money and a fabulous highly coveted diamond encrusted tennis ball. Unlike many of the other tournaments, where losing first round means the player misses out on valuable match play prior to the Australian Open, the Hopman Cup’s round robin format means each player is guaranteed at least three singles matches. In 2013 the tournament will be played at the new Perth Arena for the first time. Andy Murray is back in Brisbane to defend his 2012 singles title. He will battle it out amongst a field that includes Milos Raonic, Lleyton Hewitt, Gilles Simon, Kei Nishikori and Alexandr Dolgopolov. The women’s tournament is a WTA Premier Event offering $1 million in prize money. World No.1 and 2012 Australian Open champion Victoria Azarenka, 2012 Roland Garros Champion Maria Sharapova and 2012 Wimbledon and US Open Champion Serena Williams are playing in Brisbane. Unfortunately for all the Aussie fans who wanted to see Sam Stosur do well in Brisbane (including me! ), she lost first round against Sofia Arvidsson. This women’s event has attracted ten top forty players including Francesca Schiavone, Sorana Cirstea (ROU), defending champion Mona Barthel, Wimbledon golden set queen Yaroslava Shvedova, Anastasia Pavlyuchenkova (RUS), Heather Watson and Laura Robson. The main draw starts on Sunday 6 January. Held the week before the Australian Open, the APIA International field includes world No.8 Jo-Wilfried Tsonga on the men’s side and world No.4 Agnieszka Radwanska on the women’s side. The APIA International is also a WTA Premier event, attracting a quality women’s field that includes players ranked 5 to 10. This tournament gives the players’ quality matches and the chance to win a title early in the year without having to get past any of the Top 3 singles players. The World Tennis Challenge mixes current men and tennis legends and can be a lot of fun to watch. Players include: Martina Navratilova, Martina Hingis, Mats Wilander, Henri Leconte, Pat Cash, Stan Wawrinka, Alexandr Dolgopolov, Nicolas Almagro and Alexandr Dolgopolov. Like the Hopman Cup, this boutique tournament allows each player to play three matches against top class opponents. Being in Melbourne, playing conditions are as close to the Australian Open as you can get. Plus there’s the prestige of playing at the historic Kooyong Tennis Club. Players: Milos Raonic, Juan Monaco, Juan Martin del Potro, Janko Tipsarevic, Marcos Baghdatis, Lleyton Hewitt and Kei Nishikori. There is still one place available. Then the Australian Open gives us two weeks of spectacular tennis, drama, upsets and fantastic fan atmosphere, at what I believe is the best tennis grand slam tournament in the world. The best of five sets format for men, combined with the heat and the fact that it’s the first grand slam of the year brings out some top tennis action and often, unexpected superstars. This article was written by Melinda Samson who in 2012 achieved one of her life goals by attending all four tennis grand slam events in the same year. Previous PostSt Ignatius Vineyard & An Argentine Grill Spectacular!